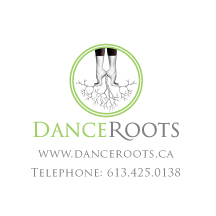 Welcome to the DanceRoots online registration portal. Please fill out this form to set up your family account. I realize that there are risks involved in any activity or program and I acknowledge that my choice to participate or register my child/self with DanceRoots brings with it assumptions of those risks. I am aware of no physical or other reason why the named student should not participate in this activity. I do hereby release DanceRoots and its employees and agents from fault for injuries due to participation in this activity or in any facility or location that this activity is held. Further, DanceRoots will not be held liable for loss of articles.